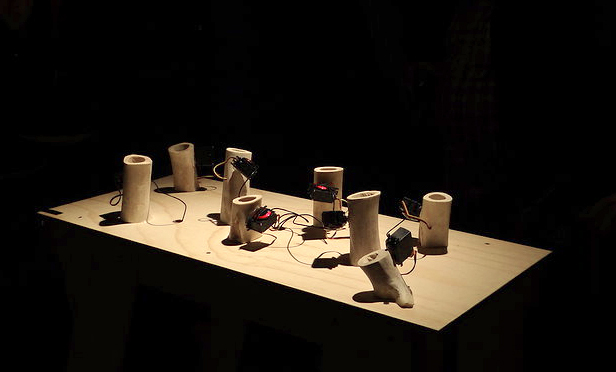 Exhibited June 2013, Sound to Light, Crossing Borders – collaboration with Heath Brown, Salamanca Arts Centre, Dark Mofo arts festival Tasmania. Curated by Jason James and Chris Norman. 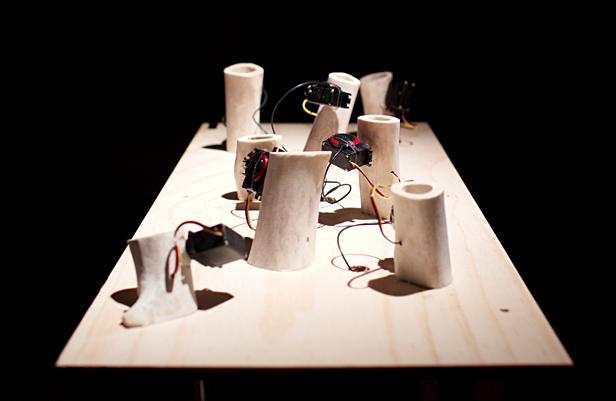 A robotic sound installation comprised of an animal-like table of bones with servo motors attached to the bones. 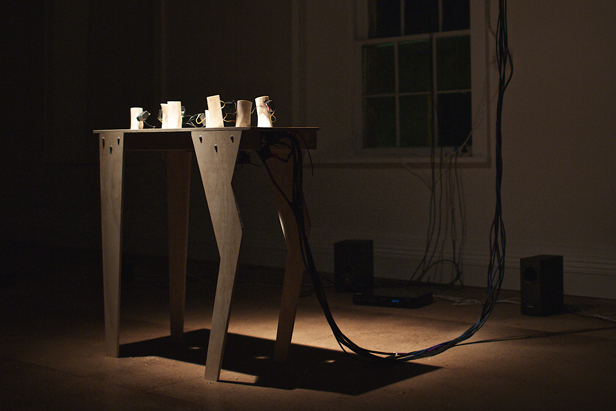 The movement of the motors is controlled by a streaming sound composition sent from a computer. The sound of the motors is fed back into a computer then manipulated and amplified. 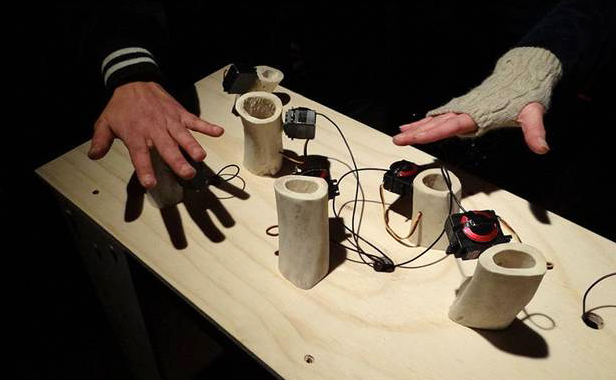 Electronics by Mirza Ceyzar. 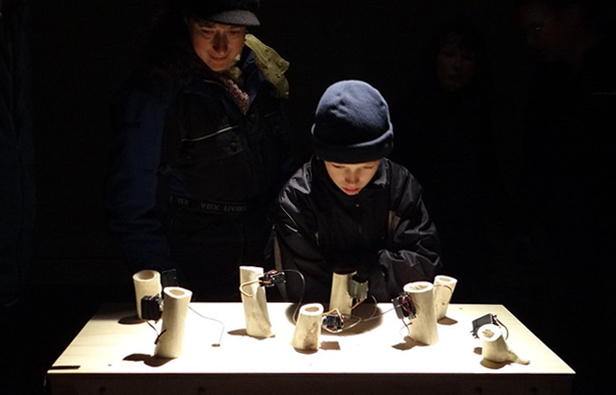 Video footage by Fred & Hannah. Photos by Fred & Hannah and Jaclyn Rogerson for Aphra Magazine.